Summary: Shinnosuke Nohara, A.K.A. Shin-chan, a combination of Dennis The Menace and Howard Stern, is a 5-year-old growing up in Kasukabe in this animated series. His foul mouth and rude behavior constantly scandalize his parents (although his father seems to be a big influence), his teacher, and everyone else with the bad luck to cross his path. Later in the series Shin-chan gains a baby sister, who seems well on the way to following in his footsteps. Episode 01 – Me and My Friends Wear Himawari’s Clothes! / Shiro Eats a Cake! / Dad Plays a Contest on TV! Episode 02 – Mom and Himawari Have Left the House! / Making a Second Secret Defence Base! / Playing Hide-and-seek with Matsuzaka Ma’am! Episode 03 – Shopping with Masao! / I Will Play a New Game Today! Episode 04 – Dad Only Loves Himawari! / We’re Going on a Picnic! / Kasukabe Defence Group is Best! Episode 05 – My Grandfathers Pay a Surprise Visit Together! / Dad Has a New Cellphone! / I get Chocochips for My Efforts! Episode 06 – Today is Our Photoshoot! / Visiting a New School! / Mom Has Pollen Allergy! Episode 07 – Himawari Imitates Everyone! / Dad is Troubled by the Neighbours! / Finding the Lost Envelope! Episode 08 – Stop Global Warming Like Us! / I Will Make Kazama Babysit! / I Will Take Care of Nanako! Episode 09 – I Hurt Myself! / Mom’s New Job Starts Today! / Mom’s New Job is Difficult! Episode 10 – I Play Stone-Paper-Scissors With Mom! / Taking an Insurance is a Good Habit! / Dad is Turned Into a Vegetarian! Episode 11 – A New Baby at Nene-chan’s House! / Matsuzaka Ma’am and I have been Hurt! / Matsuzaka Ma’am is Hurt, Once Again! Episode 12 – The Kasukabe Defence Training Comes Useful! / Matsuzaka Ma’am is Admitted in the Hospital! / Matsuzaka Ma’am and I Are Admitted in the Hospital! Episode 13 – I Ran From the Hospital! / One More Day at the Hospital! / Matsuzaka Ma’am and the Doctor are Now Friends! Episode 14 – I’m Discharged from the Hospital! / I’m Trying to Walk! / My Leg Still Hurts! 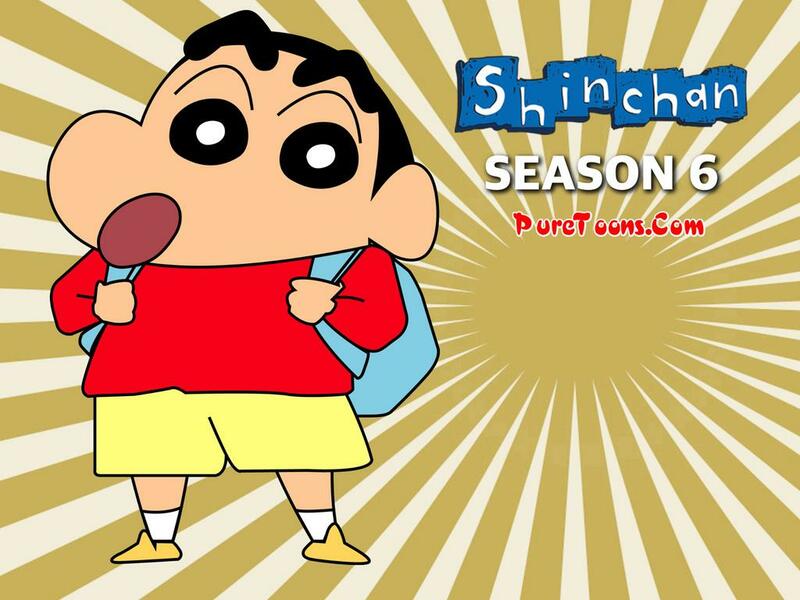 Episode 15 – Shin-chan Rejoins School! / Masumi Ma’am Shows Her Different Side! / What is in the Gift Box? Episode 16 – Masumi Ma’am’s Secret Behind her Spectacles! / A War in the Nohara House! / Mom is Upset with Dad! Episode 17 – Camping in School! / We’re Going to Micchi and Yoshirin’s House! Episode 18 – Eating Ice Candies! / A Failure in the AC! Episode 19 – Mom Has a Forgetting Habit! / Hiccups Won’t Stop! / Playing the House Game! Episode 20 – Which Toy Should I Purchase? / I Will Exact Revenge on Himawari! / Himawari Has Locked the Door! Episode 21 – Will Himawari be a Pianist? / Micchi Will Tell Our Future! / Bursting Crackers! Episode 23 – We Will Encourage Masumi Ma’am! / The Video Player Isn’t Working! Episode 24 – Fighting the Mosquitoes! / Visiting an Old Aunt! / Mom and Me Are Looking For Shiro! Episode 25 – Dad and Me Will Play the Airplane Game! / Planet Earth is in Danger! / Matsuzaka Ma’am Will Be Discharged Today! Episode 26 – Matsuzaka Ma’am Rejoins School! / Mitzi Tells Himawari a Story! / We’re Going to the Park Today! Episode 27 – Helping Matsuzaka Ma’am! / A Robber in Our House! / We Will Dig Out Potatoes! Episode 28 – A New Dishwasher in the House! / Searching for Kazama’s Lost Item! / I Will Stay Awake in the Night! Episode 29 – Bo-chan Gets the First Prize in Painting! / Dad on a Morning Walk? Something is Fishy! / I Will Spy on Dad! Episode 30 – I Found a Magical Thermos! / What are Nene-chan and Masao Hiding? / A New Cat in Our House! Episode 31 – We Will Eat Sweet Potatoes! / Yoshirin Has Left the House! / Yoshirin is Back With Micchi! Episode 32 – Will I be Gifted the Action Kamen Present? / We Will Follow Matsuzaka Ma’am! / Going for a Car Wash! Episode 33 – Himawari Troubles Me Again! / Mom Will Drop Me to School! / Yoshinaga Ma’am is Going on a Date! Episode 34 – Protecting Kazama! / Dad Stays Out Whole Night! Episode 35 – A Brother-sister Love Between Me and Himawari! / We Will Find Interesting Stones Today! / I Will Save Nanako Today! Episode 36 – Today’s Day is Weird! / Going to the Market to Purchase Organic Eggs! Episode 37 – Visiting a Bumper Sale! / I’m Kazama’s Best Friend! / We’ve Realised That Pencil Cells Are Very Important! Episode 38 – Mom will Fix the Quantum Robot! / Playing in the Ice! / Visiting the Hot Spring! Episode 39 – It Will be Fun in the Mall Today! / Patrolling the City! Episode 40 – Mom and Micchi Will Collect Money Today! / Nene-chan is the Tragedy Heroine! / I Went to School on a Holiday! Episode 41 – Mom is Working on the Savings! / Nene-chan Does Fortune Telling! / Going to a Poetry Class! Episode 42 – I Will Collect Used Cans! / Only I am Himawari’s Elder Brother! / A Toy House in Our House! Episode 44 – Mom and I Will Eat at an Expensive Restaurant! / What Will We Be When We Grow Up? / Dad gets an Increase in Pocket Money! Episode 45 – We Will Eat Principal Sir’s Strawberry Cake! / How Can I Sleep in So Much of Noise? Episode 46 – My Skin Will Be Silky Smooth! / I Will Be a Lucky Boy Today! / Will I get to Play Football Today? Episode 47 – Mom is Himawari’s Role Model! / Principal Sir Will Tell Us a Story! / Who Do I Resemble? Episode 48 – Watching my Childhood Video! / Today Kazama Will be Shin-chan Nohara! / Seeing a New Flat! Episode 49 – Going to Buy a Gift! / Matsuzaka and Dr Tokurou’s Relationship is in Danger! / Watching Action Kamen at a TV Store! Episode 50 – Grandfather Will Visit Us Today! / I Will Exercise With Grandfather! / We’re Going to See a Picnic Spot! Episode 52 – The Clothes Are Not Getting Dry! / Finding a New Home for Shiro! / Hiding a Gift is Not Easy!